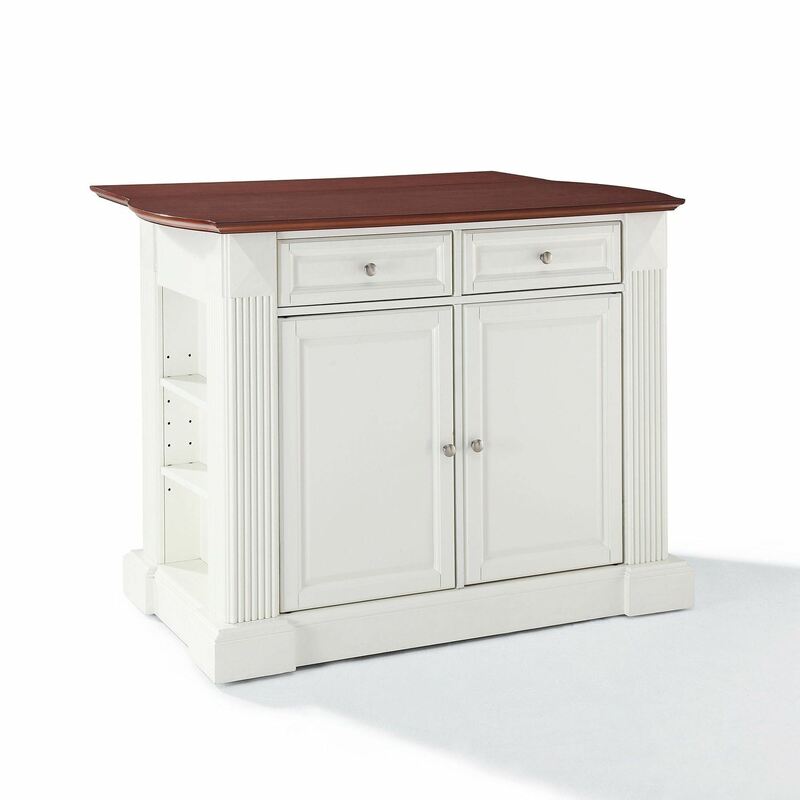 Constructed of solid hardwood and wood veneers, this kitchen island is designed for longevity. The handsome raised panel doors and drawer fronts provide the ultimate in style to dress up any culinary space. 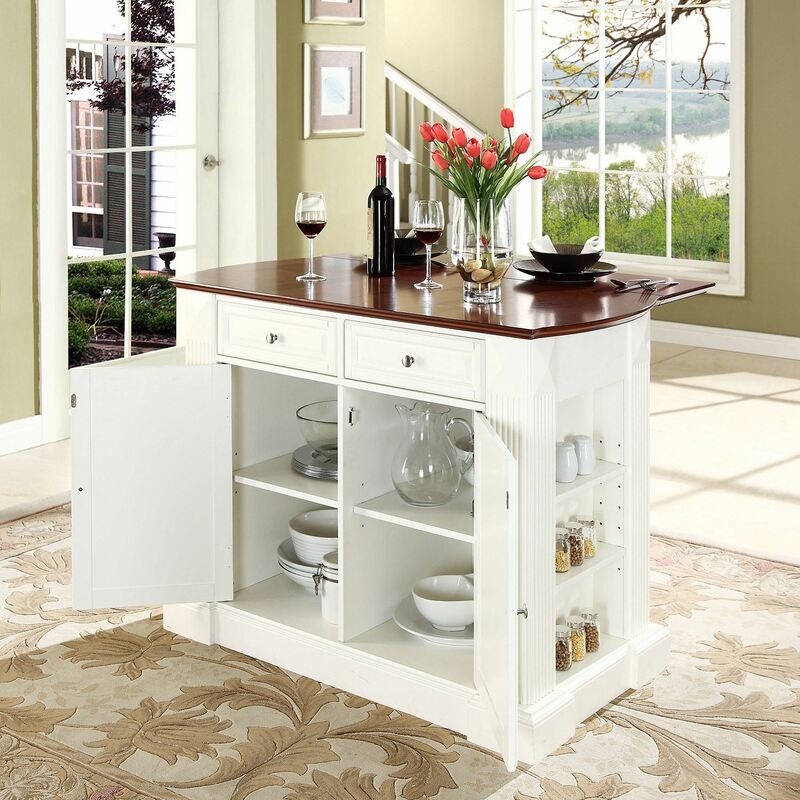 Raise the drop leaf to expand your serving space, or just sit at the breakfast bar and eat your meal. Behind the doors, you will find adjustable shelves and an abundance of storage space for objects you'd prefer to keep hidden. 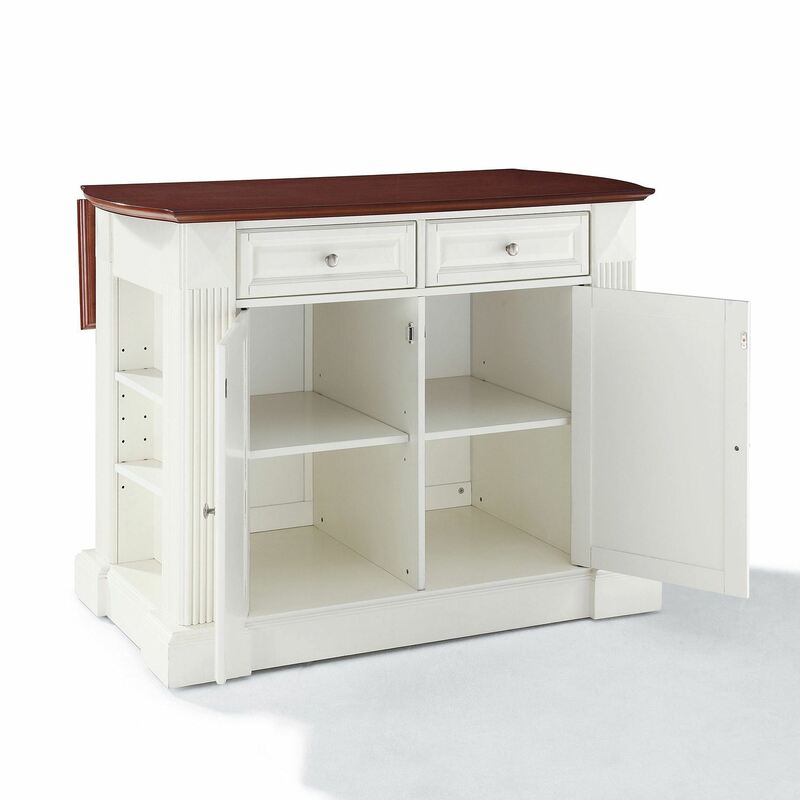 Open storage on both ends provides easy access to frequently used items, and is perfect for displaying decorative objects. 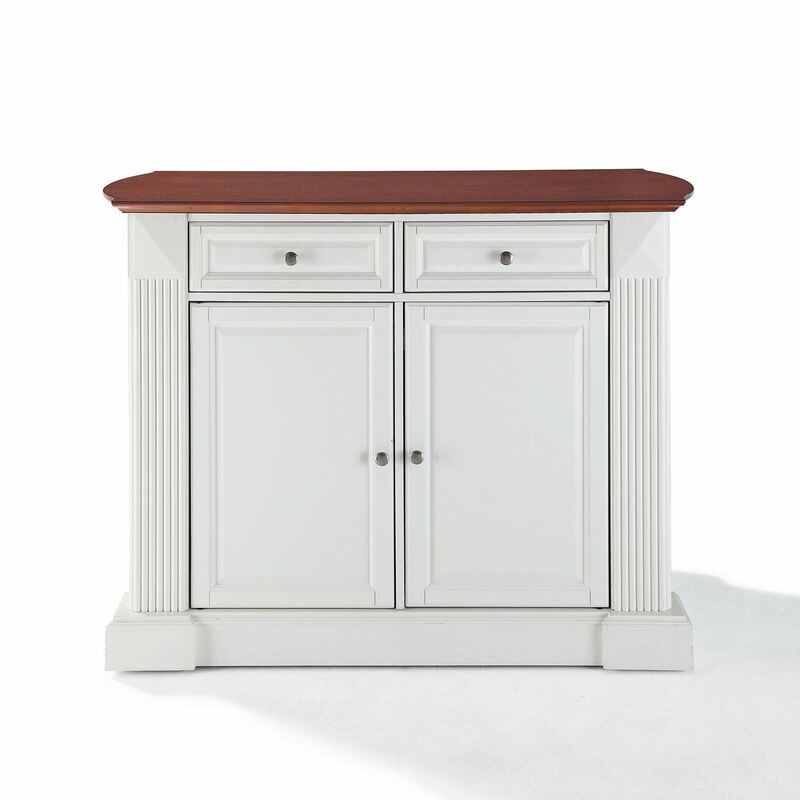 Raised diamond accents and fluted pilasters are sure to impress your guests. 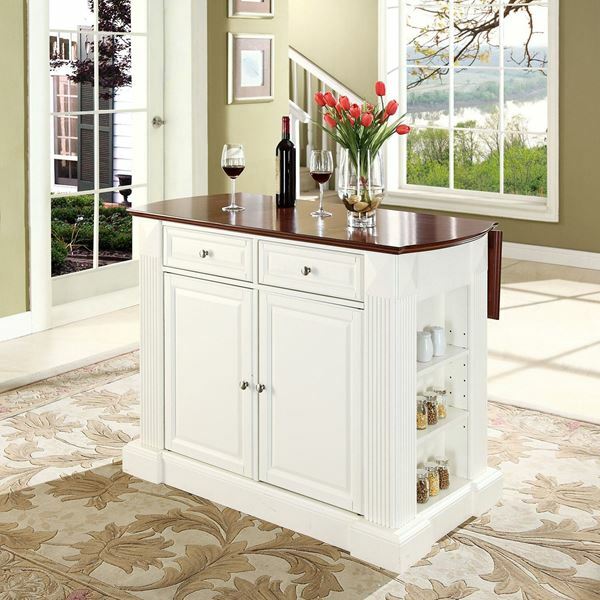 Style, function, and quality make this kitchen island a wise addition to your home. Solid Hardwood & Wood Veneer Construction. 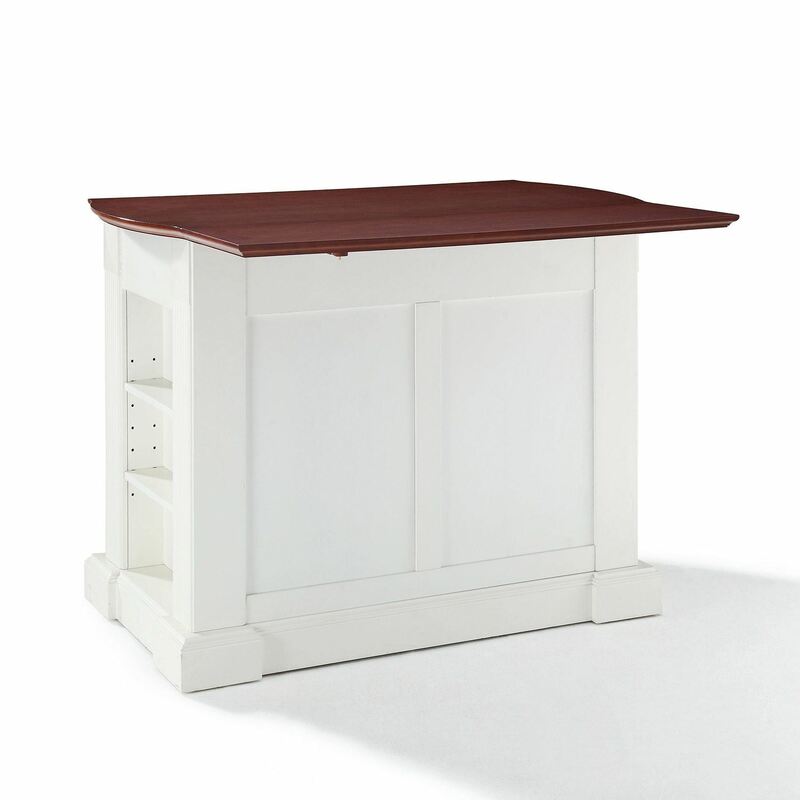 Drop Leaf for Additional Space or Dining. Beautiful Sculpted Edges on Each End of Top. Open Storage with Adjustable Shelves on Each End. Beautiful Raised Panel Doors, Drawers & Side Panels. Gorgeous Diamond Accents & Fluted Pilasters. Two Adjustable Shelves Behind Doors.